Onesquethaw Cave is the second longest known cave in Albany County, NY with just over one mile of mapped passage. The cave entrance is known to flood during periods of significant rainfall, and thus may be closed during periods of wet weather. In extreme flooding, the cave may fill to the ceiling throughout its length. Written permission is needed to enter the cave due to the flooding concerns. Onesquethaw Cave must be treated as a unique natural resource, and nothing should be taken out of the cave except trash. 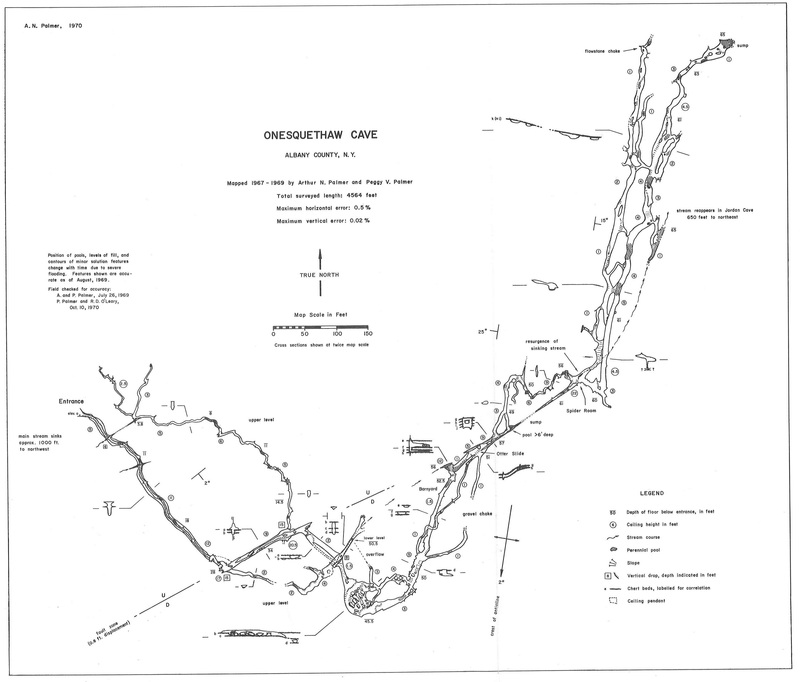 Click Here to download the management plan for the Onesquethaw Cave. Click Here to download the map for the Onesquethaw Cave.